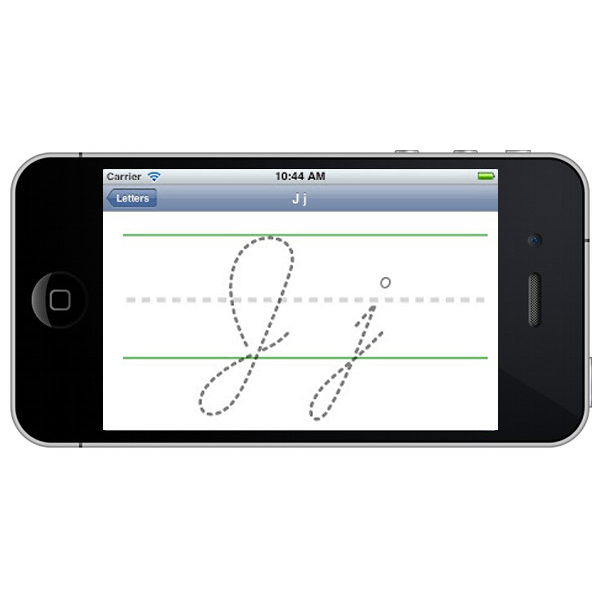 The idea for this app developed as a project for a studio design class after I learned that cursive writing would no longer be tested as part of the K-12 Core standards. This, in effect, will eliminate script writing from public school curricula. 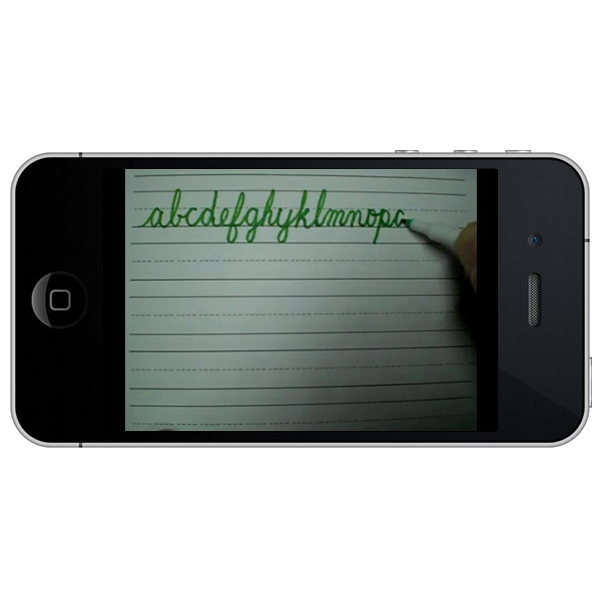 Creating an educational app that kids could use to teach themselves how to write in cursive would clearly fulfill a new need. The app is designed in XCode (Apple’s app development software) and can be used in landscape or portrait mode. Program files are available for download below through a Creative Commons Attribution-ShareAlike 4.0 license. 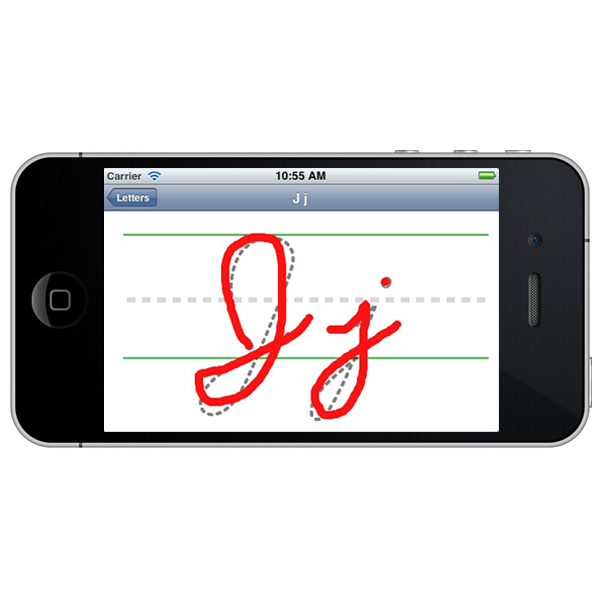 The app houses 2 distinct educational sections, (1) video tutorials and (2) writing practice. Tutorials are embedded directly within the app so no data or WiFi is required. The practice area contains a responsive writing screen layered on top of dotted outlines of capital and lowercase letters.